Click more to view the rest of the night. 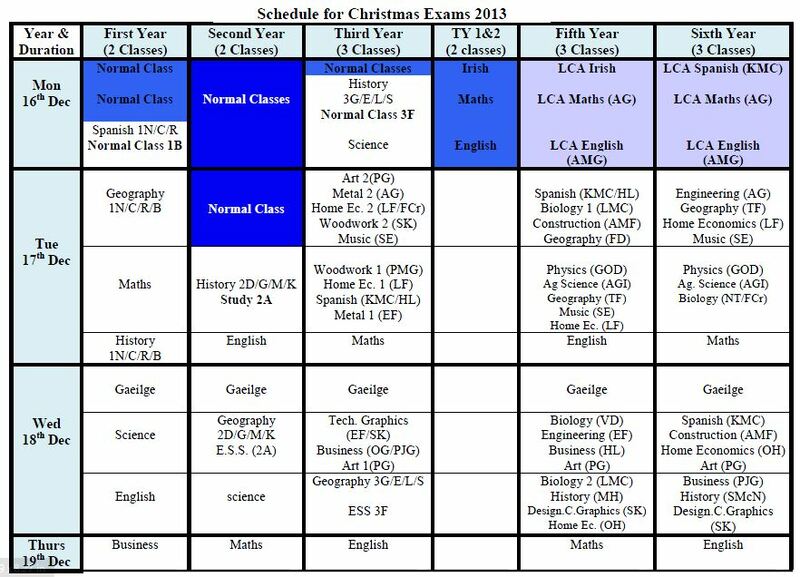 The Christmas Exam Timetable can be downloaded from the link on the drop-down menu below the home. The LCVP students at Deele College were visited by representatives from both St Vincent de Paul and the Donegal Hospice this week, as they handed over donations raised from the recent ‘soccer blitz’ in the school. 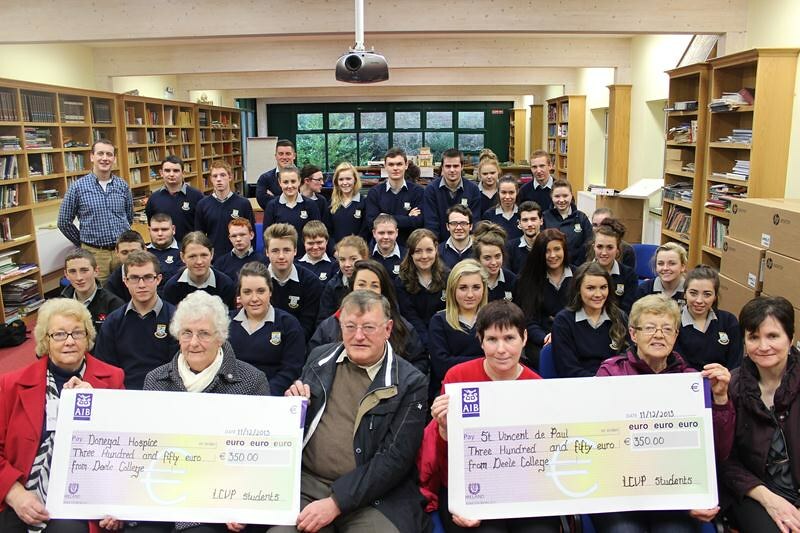 Each charity received €350 and great credit must be given to all the students involved. 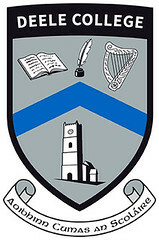 Our TY students had a very interesting talk on Monday morning when two key speakers from the Donegal Creameries came to the school. The talk was part of the ‘Day in the Life Programme’; where students find out what it’s like to work in different areas. 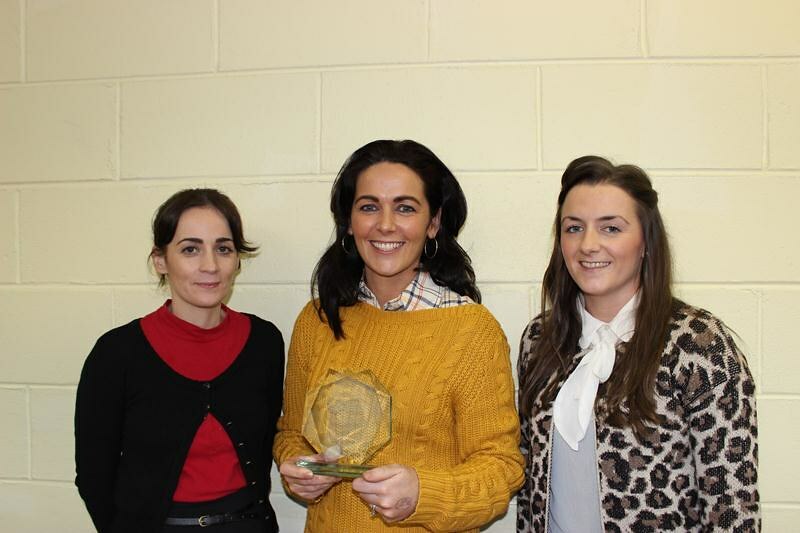 The continued links between the Business Department and the Donegal Creameries is very beneficial to our budding entrepreneurs in the school. 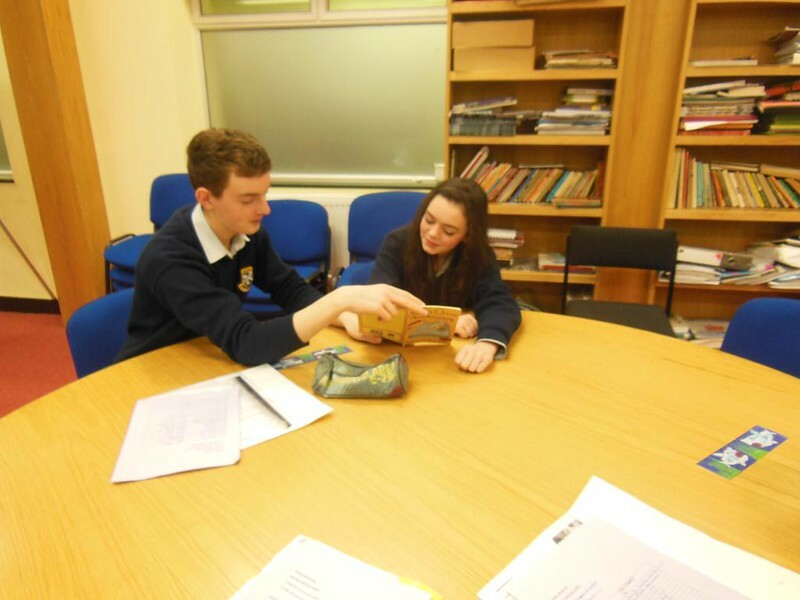 As part of their LCVP portfolio the Leaving Cert students had to organise a fund raising activity. This year the class organised a first year soccer blitz that was held prior to Halloween. 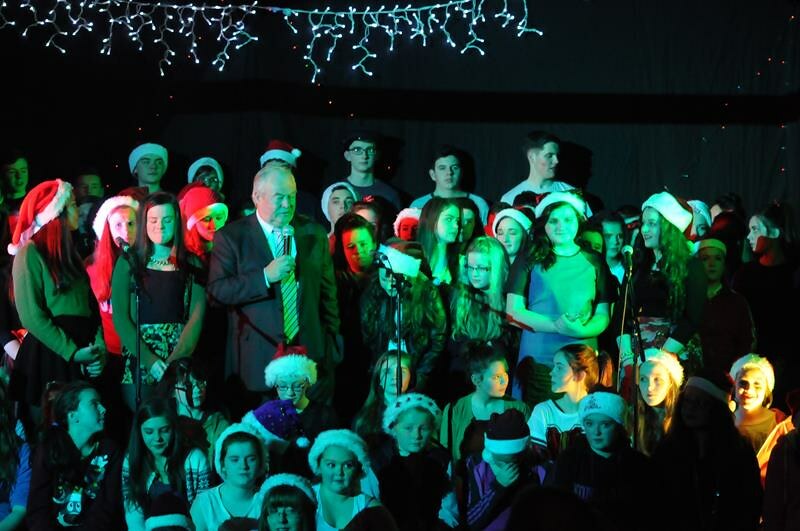 All the students had jobs to do on the day, ranging from football managers to referees, scorekeepers, security, ushers etc..
Claire O Brien, Collette Ferguson, Nikita Mc Nulty, Seán Mc Nulty, Zita Crossan, Mrs Gearoidin Brady. 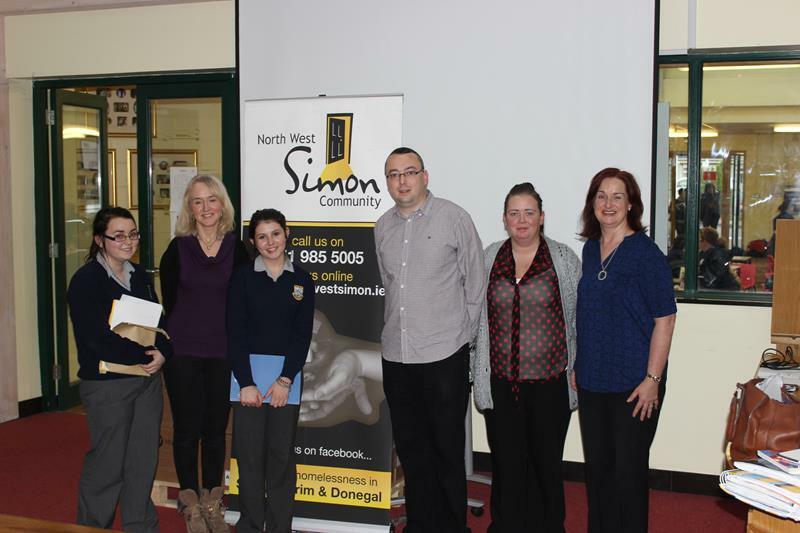 On Tuesday 3rd December two third year students Claire O Brien and Nikita Mc Nulty invited representatives from the Simon Community to give a presentation on the work of their voluntary organisation to all second years in the school. The two girls organised this awareness raising event as part of their CSPE Action Project in order to highlight the plight of homelesness which is a Human Rights issue that comes under the Rights and Responsibilities section of the CSPE curriculum. 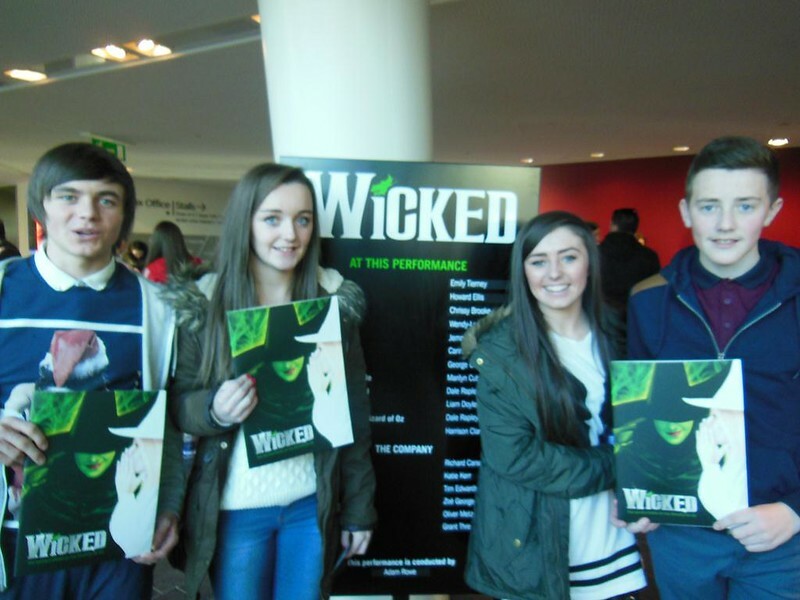 On Wednesday,4th December, seventy-four students and five teachers travelled to the Bord Gais Energy Threatre in Dublin to see the musical WICKED. This incredible show has been casting its spell over audiences across the world for nearly a decade. It tells the remarkable untold story of an unlikely but profound friendship between two girls who first meet as sorcery students. Both students and teachers were spellbound by the captivating story, spectacular costumes, thrilling technical wizardry and phenomenal music. Everyone enjoyed the trip.